Volograms is a technology startup on a mission to bring reality capture closer to everyone. 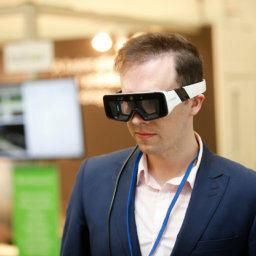 Their technology uses a set of videos taken from different viewpoints, which are then transformed into volumetric holograms, volograms, that can be enjoyed in Virtual and Augmented Reality. Vologram’s system works with different camera configurations, outdoor or indoor scenarios, and can even generate content with videos captured with handheld consumer devices.